@MIJ- lovely stuff as always. The owl is a really nice touch. A bit of research always pays off. @YS- man, I wish I had the time and energy and buckage to do some Weird WW2. Nothing says "Muhahaha" like Nazi Zombie Cyborgs with Tesla Cannons. I have a new project. More as it develops. @Konrad - Oooh, Toy Soldiers. I'm eagerly awaiting the big reveal. 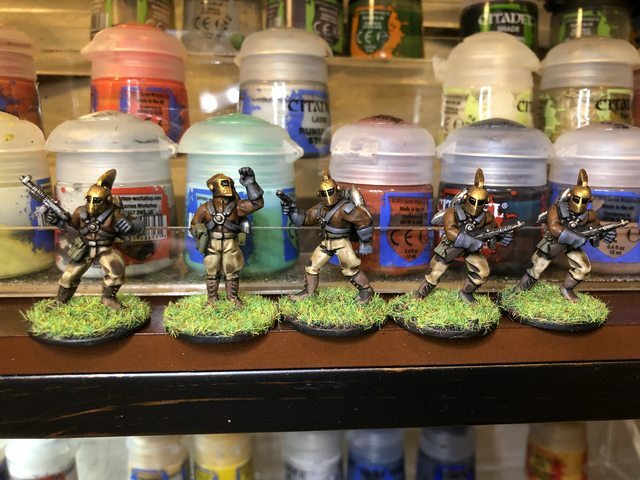 @M_i_J - Great paintjob as usual. I almost didn't notice the black cat on the black base next to the black boots though. The owl is really well done. I prefer the first skin tone on the spellcaster if I'm being honest though. It has been a long while since I have touched paint or glue. What I can report on is just finishing the Eisenhorn Omnibus. I had previously listened to the trilogy on audiobook, and I loved just as much again. I love so many of scenes: the twist club, the fight with a witch hunter in a shrine, the train ride flight on Gundrun, Chareubeal, Maxilla and rogue trader Essene, Potius Glaw, and so much more. Great grimdark stuff with a touch of humanity. Really the last point is what IMHO makes it stand above the rest of the Black Library books - no disrespect to any other title. Well maybe I wax too much. Good read. YellowStreak wrote: Those look like they might be heroforge figures? I've wondered what the quality of their 3D printing was like. @Koji can you confirm? Hey mate. Sounds like you are getting some gaming in, andI hope the job is going well, too. Yep, a friend wanted some customized figures and used heroforge. I think they are pretty good quality, but stad on the expensive side. The minis have pretty good detail but are a little brittle. I've been considering ordering a couple of their figs myself. The quality looks pretty good in @MiJ's photo. Rocketeers! -- to be used as Firefly jump troops. YellowStreak wrote: Rocketeers! -- to be used as Firefly jump troops. @Job - Yeah, the Eisenhorn books are good. The follow up trilogy about Ravenor are good too! 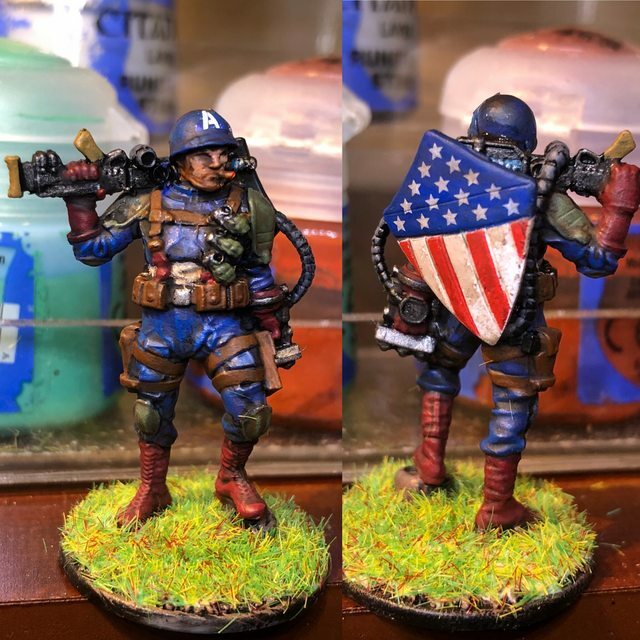 @Yellowstreak - Nice work on Cap and the rocketeers.